Do you feel stuck in your job? Are you looking for a way to earn a little more money that doesn’t require you to spend even less time with your family? 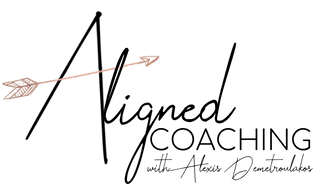 Alexis Demetroulakos is a Certified Holistic Health Coach in Nutley, New Jersey, who has transformed her life and has found financial wellness and wants to share it with you, by teaching you how you can earn a living and change your life sharing products you love. To learn more about Alexis and network marketing, call or schedule a consultation using the online booking button. After just a week of using the system, Alexis was amazed that people started to take notice, and she started to share what she was doing with anyone who asked. Alexis was soon able to match and surpass her six-figure executive income. Now, thanks to network marketing, Alexis works from home, makes her own hours, and can spend time with her daughter. Do I have to sell things? One of the most common questions Alexis hears when she shares her story is: “Do I have to sell things?” That’s the beauty of network marketing: No, you don’t have to sell. All you have to do is use the system, share the results, and it sells itself. Just as we share when we visit a great restaurant or a new salon, we share the goods! It’s that simple with our team’s systems in place and Alexis’ mentoring you to become your own best advocate, the sky is the limit! The superfood system and products make you look and feel amazing, and everyone will want what you have. If you enjoy using the products, Alexis helps you share what you already LOVE! Like recommending a favorite salon or movie; it’s called recommendation sharing and it is what people do all day long. If you love what something has done for you, what do people do? Share it with everyone they know. You can create a residual source of income that can be as little as earning your free groceries, to car and mortgage payments, to vacations and retirement. It’s all up to you and what your commitment level is. Alexis started her business in the pockets of her life, in bathroom stalls and on tea breaks, and was able to match her six-figure income after 15 months, which allowed her to quit her job and create a fairy-tale life. To learn more about network marketing and how you can earn a residual income and rewrite your story, call Alexis Demetroulakos, or schedule a consultation online.